Scientists in Australia have found that ultrasound can successfully treat mice by producing improved memories without suffering any damage to brain tissue. The researchers hope the discovery might help battle Alzheimer’s disease in humans. The process, pioneered by researchers at the University of Queensland Brain Institute (QBI) in Brisbane, uses beams of ultrasound to help clear tangles of plaques linked to Alzheimer's. The scientists, who published the research in the journal Science Translational Medicine, used ultrasound to stimulate microglial cells, which are part of the brain’s immune system, to engulf and absorb the plaques. They trialed the technique on genetically engineered mice and found it almost completely cleared the plaques in 75 percent of the animals without any apparent side effects. 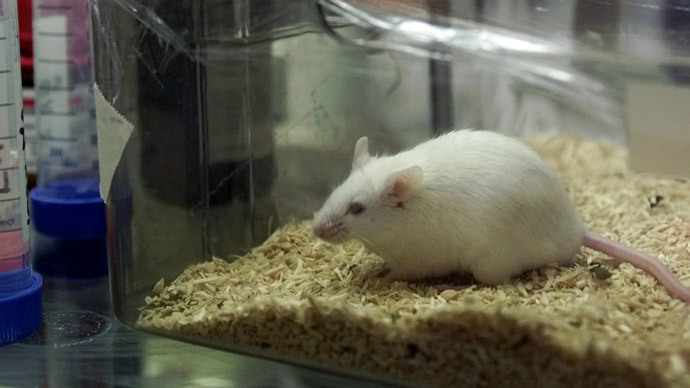 The treated mice were found to have improved memory, which was measured by three different tests, such navigating a maze. “Our research was very exploratory and we really didn’t expect to see such a massive effect. I’m really excited by this,” Jurgen Goetz, one of the authors of the study, told Reuters. However, there is still some debate on if plaques are a cause or symptom of Alzheimer’s and Goetz stressed that the research was still at a very early stage and there was still much work to do before it can be tested on humans. The next stage will be try it on sheep, with data expected later this year. Gerhard Leinenga, a PhD student who has been working on the project for three years, told ABC Australia that he was hopeful the technique could be used in humans. "But in humans it's more difficult because the human brain is more complex and the human cognition is more complex. It's a bit more difficult to say, but certainly we envisage that if you can reduce these levels perhaps early when they're starting to build up in a human brain, you could rescue the memory impairment," he said. Alzheimer’s is the most common form of dementia and effects more than 50 million people worldwide, with the number set to rise to 135 million by 2050, according to the charity Alzheimer’s Disease International. "So far the drugs that are available only help improve memory performance a small amount for a short period of time. It doesn't treat the underlying disease, it doesn't remove the amyloid beta peptide," said Leinenga. The ultrasound technique offers a completely different approach to how the disease is normally treated. "The word breakthrough is often misused, but in this case I think this really does fundamentally change our understanding of how to treat this disease and I foresee a great future for this approach," said Goetz, who is also head of the Clem Jones Center for Ageing and Dementia Research. In a separate development, researchers at John Hopkins University in the US have found that low doses of a drug used to treat epilepsy can reverse a condition that increases the risk of developing Alzheimer’s. The drug called antiepileptic levetiracetam calms hyperactivity in the brain, which is common with people with amnestic mils cognitive impairment, and heightens the possibility of developing Alzheimer’s. The team now wants to pursue substantial clinical trials.